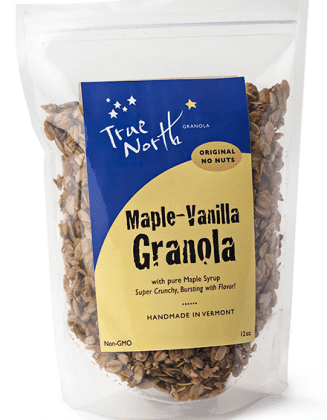 The 7 soon-to-be-impacted flavors of True North Granola. Why are we altering our product set? We are altering the availability of certain granolas to focus our energy on our best-selling products. With these changes in place, we recognize that some of our customers’ favorite flavors will be impacted. It is our hope that by giving people some advance notice, they will have enough time to purchase the products of their choice to stock up before they are no longer a part of our regular offerings. These changes will go into effect after May 31. Which products will be affected, and how? The products that will be affected are the Nuts & Flax Granola, Cherry Vanilla Pecan Granola, Apple Cinnamon Granola, Pumpkin Granola, Apricot Granola, Coconut Original Granola and Nutty No Grainer with Blueberries. –Cherry Vanilla Pecan will become seasonal, and only be available during the months of April and May. –Apple Cinnamon Granola and Pumpkin Granola will also be only available seasonally in the future. Both will be on sale in September and October. 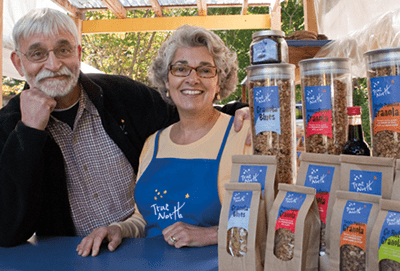 The 7 impacted flavors, Nuts & Flax, Cherry Vanilla, Apple Cinnamon, Pumpkin, Apricot, Coconut Original and Nutty No Grainer with Blueberries, are on sale this month. Be sure to get your favorite flavors before their availability changes! Our granola freezes well, and will stay fresh for one year. Purchasing in volume works well if you want to stock up on your favorite granola and save money. "How Sweet is Granola? Granola Sugar Values and low sugar options"